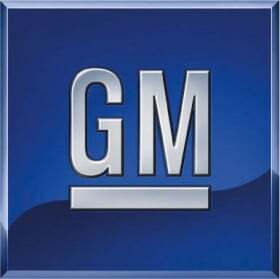 DETROIT, Dec. 4 /PRNewswire/ -- To improve accountability and responsibility for market performance in North America and around the world, several key leadership changes were announced today by GM Chairman and CEO, Ed Whitacre. "I want to give people more responsibility and authority deeper in the organization and then hold them accountable," Whitacre said. "We've realigned our leadership duties and responsibilities to help us meet our mission to design, build and sell the world's best vehicles." Mark Reuss is named president of GM North America. Reuss was briefly vice president of Engineering after leading GM's Holden operations in Australia in 2008. Reporting to Reuss will be Susan E. Docherty, who is appointed vice president, Vehicle Sales, Service and Marketing operations. Also aligned under the new North American group will be Diana D. Tremblay, who is named vice president, Manufacturing and Labor Relations. Tremblay was most recently vice president of Labor Relations. Denise C. Johnson is named vice president, Labor Relations. Johnson was most recently vehicle line director and chief engineer for Global Small Cars. Nick Reilly is named president, GM Europe. Reilly has been leading the restructuring efforts in Europe with the Opel/Vauxhall operations and will leave his role leading GM International Operations. Tim Lee is named president of GM International Operations, overseeing GM's Asia-Pacific, Latin America, Africa, and Middle East operations. Lee was most recently group vice president, Manufacturing and Labor Relations. Bob Lutz remains vice chairman and will act as advisor on design and global product development. Thomas G. Stephens remains vice chairman of Global Product Operations, and will now take on global purchasing in his organization, which will continue to be lead by Robert E. Socia, vice president, Global Purchasing and Supply Chain. Karl-Friedrich Stracke is appointed vice president, Engineering, reporting to Stephens. Stracke was most recently executive director of Engineering. J. Christopher Preuss, vice president, Communications, will now report to Whitacre; he previously reported to Lutz. The balance of the direct report staff remains unchanged and includes CFO Ray G. Young; John F. Smith, vice president Corporate Planning and Alliances; Terry Kline, vice president IS&S; Mary T. Barra, vice president Human Resources; Mike Millikin, vice president of Legal; and Ken C. Cole, vice president Government Relations and Public Policy. Biographical information on all GM's corporate officers can be found at www.gm.com/corporate/about/officers.jsp?evar10=gm_investor_corporategov_office rs#.